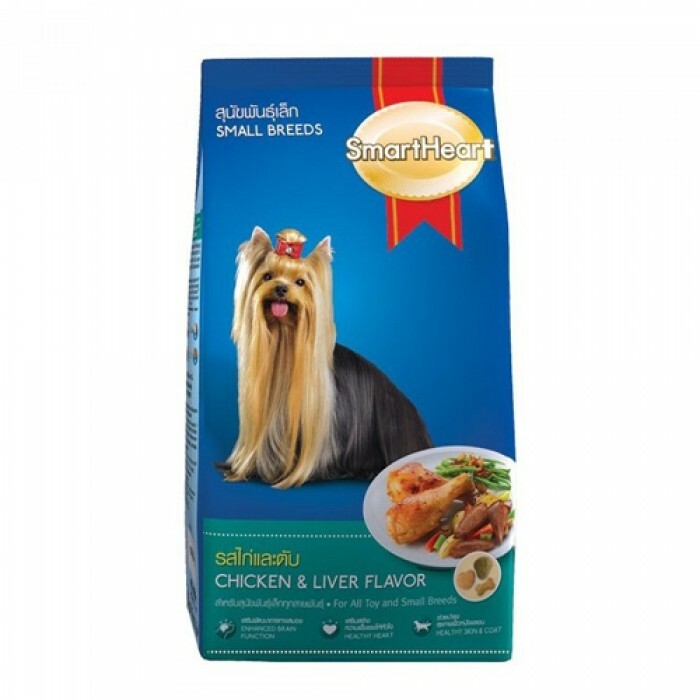 Product Details-Ingredients-Corn, Chicken, poultry meal, soybean meal, chicken oil, full fat soybean, brewer dried yeast, liver digest, lecithin, fish oil, iodized salt, vitamins and minerals, antioxidants and food colouring. 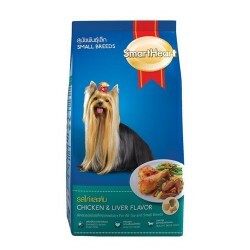 Flavor-Chicken and liver flavor, Suitable-All Small Breeds of Dogs,Quantity-1.5 Kg. Product Information -Enhanced Brain Function- DHA (from fish oil) and choline (from lecithin) for enhanced brain and nervous system function. Healthy Heart -Omega-3 fatty acids from fish oil for a healthy heart. Healthy Skin and Coat -Balanced Omega 3 - 6 essential fatty acids for a healthy skin and shiny coat. Immune System -Vitamin E and Selenium for strong immune system.. Healthy Digestion -Highly digestible ingredients for improved digestion and stool quality. Strong Bones - Teeth -Calcium and Phosphorus for strong bones and teeth. Reduce Detal Plaque -Crunchy kibble texture reduces dental plaque.